Use the butter with lobster, and finish the meal with treats made from leftover milk solids. When my friends and family call in the spring to book their summer accommodations at the very affordable (read, free), centrally located Rudalevige Bed & Breakfast in Brunswick, I tell them that if they truly loved me, they’d visit in March when the weather isn’t so pleasant. Most ignore my comment and move on to inquire if it’s predicted to be a good lobster season, a not-so-subtle hint that they’d like the same steamed lobster dinner they got last year on the first night of their stay. I truly don’t mind as steamed lobster is an easy ask. One pot for the lobster, one pan for the clarified butter, one bowl for the tossed salad. They know to bring the wine. Left over from the meal are the lobster shells that make a lovely stock, the bottle that gets recycled and the milk solids in the bottom of the butter pan. The European method chefs are taught to clarify butter in culinary school is quick but wasteful, contends Chef Evan Mallet, who owns Black Trumpet in Portsmouth and Ondine in Belfast. With that method, you skim the solids off the top of constantly simmering whole butter and throw them out. Mallet prefers to heat butter at a very low temp, unmolested, in a heavy bottom pot until some solids sink to the bottom and the rest rise to the surface. Just moments before the solids brown, Mallet removes the pot from the heat, skims off the top solids and pours the clarified butter through a fine strainer to catch any solid sediment on the bottom. These solids, chemically a mixture of proteins and sugar, still have a buttery flavor so they can be saved to be tossed with steamed vegetables, brushed on grilled fish, or kneaded into breads. In winter, Mallet saves his for hot buttered rum. For every pound of butter a cook clarifies, she gets about 11 ounces of clear golden fat and 2 ounces of solids. The balance is three ounces of water that has bubbled out of the fat in the process. The clarified butter (traditionally called drawn butter, as well), while it stays fresh for months if stored in the refrigerator, can also be stored at room temperature for three weeks to be melted again to suit your lobster-loving summer visitors as they appear. Removed of the solids, the clarified butter can handle higher heat levels so it can be used like olive or vegetable oil for pan-frying fish, sautéing zucchini and stir-frying snow peas without burning as ordinary butter would. Clarified butter, prepared as Mallet prefers to render his, is a very close cousin to ghee, a staple cooking fat in India; the difference is that with ghee, the solids are allowed to brown just a bit. The browning gives both the ghee and the solids a nutty flavor. Commercial production of ghee yields a byproduct called ghee residue that is made into a powder and used in desserts. 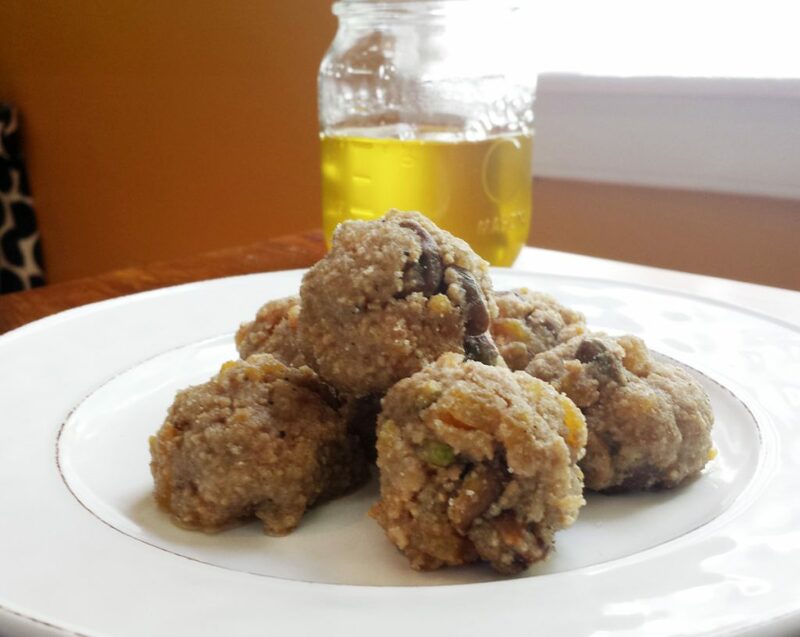 When ghee is made at home, the leftover solids can be used to make laddoos. These buttery, nutty, bite-sized treats are a sweet way to upcycle your clarified butter solids. You’ll impress your lobster-loving guests with both dessert and your lack of food waste. Expect them back next summer.